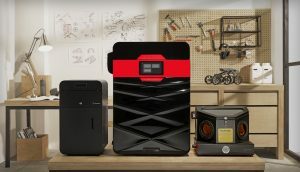 The internet is full of repositories for 3D models that can be freely downloaded and 3D printed, so when a maker needs a certain shape for a specific application, it’s often easier to download a premade model than it is to design one from scratch. 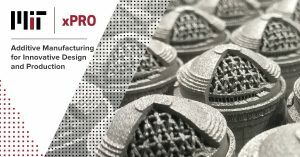 Der Beitrag MIT präsentiert neuen Online Kurs für additive Fertigung erschien zuerst auf 3Druck.com – Das Magazin für 3D-Drucktechnologien. Der Beitrag Neuer 3D-gedruckter Felgenprototyp von BigRep erschien zuerst auf 3Druck.com – Das Magazin für 3D-Drucktechnologien. NASA’s Jet Propulsion Laboratory has released a video depicting a 3D visualization of melting snowflakes in the atmosphere. The 3D model could lead to a better understanding of how snow melts and thus improved hazard prevention. The upcoming Salone del Mobile in Milano, a world-class furniture and design showcase, will be a thriving hub for all types of 3D printed design. Not only will a 3D printed house be on display in the Italian city’s Piazza Cesare Beccaria, but we recently learnt that visitors will also get the chance to behold (and maybe sit on?) 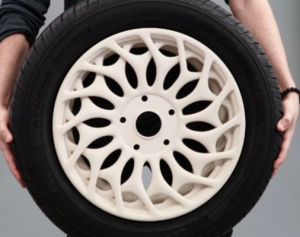 a series of innovative 3D printed chairs.